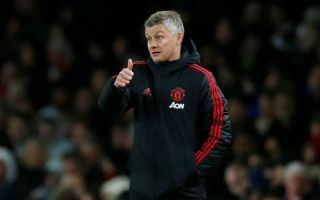 After suffering disappointment in the Champions League on Tuesday night, it’s been reported that Ole Gunnar Solskjaer could make several key signings to strengthen his Man Utd squad this summer. The Red Devils were eliminated from the competition by Barcelona, and now their full focus will switch to securing a top-four finish in the Premier League. What this season has shown though before and after Solskjaer’s arrival at Old Trafford in December, is that Man Utd have some way to go to be able to compete with their rivals domestically and in Europe. As well as shipping three goals against Barcelona in the second leg, they’ve conceded 44 goals in 33 Premier League games so far this season, giving them the worst defensive record of the top six sides. Further, they’ve scored 63 goals, with only Chelsea having scored less of the top six. That in turn would suggest that they need to improve at both ends of the pitch, as well as in midfield, and ESPN report that United could make at least five signings this summer, with six names put forward as potential targets. Kalidou Koulibaly, Raphael Varane, Saul Niguez, Declan Rice, Aaron Wan-Bissaka and Jadon Sancho are all specifically named in the report as being of interest to the Premier League giants. Either Koulibaly or Varane would certainly help shore things up at the back, while Niguez, Rice and Sancho would add solidity and creativity in midfield and the final third. Meanwhile, with Antonio Valencia set to see his current contract expire and with Ashley Young not getting any younger, Wan-Bissaka could be a sensible addition to solve the right-back position for the long term future. In turn, if the list is accurate, it has to be said that United are looking in the right places, as there are doubts over Ander Herrera and Juan Mata still given that they will be free agents this summer too. Time will tell though how successful they are in signing multiple players in one window, while failure to qualify for the Champions League could have a negative impact on their hopes of appealing to the top players as well.